On a Tuesday night in January, Dragon’s Eye Recordings artist Geneva Skeen saturates the Chinatown echo chamber known as Human Resources with a set of ambient sounds, as attendees — most with their eyes shut, lying limp on floor mats or back-to-back with one another — engage in a kind of communication that transcends verbal form. 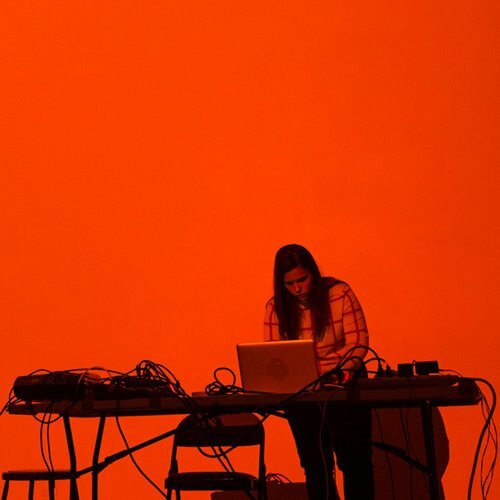 Her music, though unique, is representative of the independent, L.A.-based imprint’s focal points, which include sound art, minimalist field recordings, and situational pieces that function as scores for choreography or visual art. It’s not the kind of stuff you hear at traditional music venues — and it’s definitely not for everyone.